Human Design is a vast subject. When I first found Human Design I was overwhelmed by the amount of information out there and studied everything I could get my hands on, buying all the books available, getting readings and taking as many classes as I could afford. Now that I’ve studied for a few years, I can highly endorse and personally recommend these official resources for authentic Human Design information. As an IHDS Certified Professional Guide, let me guide you to find what you are looking for! You can also contact me on any social media channel we both frequent or email me directly if you have questions. Mybodygraph.com is the best place to get online Human Design Charts. Run as many as you like for free! https://www.mybodygraph.com/ Get your own interactive Human Design Chart with a “Talking” Bodygraph. Run as many charts as you want online free! Do you want to know about the most sophisticated way that the Human Design System has ever been available online? I am very excited to share this new website with you. In fact, I wish this site had been around when I first started, and I’ll tell you why it’s so amazing. On myBodyGraph.com you will find all the information you need, perfectly structured based on your unique design. The available information is segmented into three parts: The 1st “Introduction” level is free, and more detailed information can be purchased when you are ready, in steps 2 “Foundation” and 3 “Advanced”. Experimenting with this knowledge can change your life; I know it has for me, and that is why I’m so excited to share this with you. The key to learning how to be yourself and making correct decisions is a two-part process. You’ll want to learn what you can rely on in your chart, then recognize where you are open and designed to take in the other, and how deeply that has conditioned your behavior. 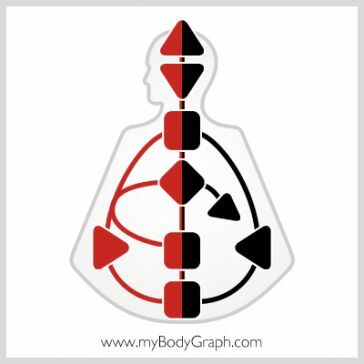 To do that, you experiment with your individual Strategy and Authority, and you’ll learn what exactly that means for you once you set yourself up with a free account on MyBodygraph.com and create your bodygraph. MyBodygraph was created in partnership with Jovian Archive. Jovian Archive Media Inc. is the International Rights Holder to The Human Design System and all knowledge derived from the teachings of Ra Uru Hu. The Rave BodyGraph™ and Rave Mandala™ are registered trademarks of Jovian Archive Media Inc. This page will be updates soon with the other HD Professionals I’ve learned from and their websites.